Warning to our readers: This video contains lewd and graphic language. “I’m automatically attracted to beautiful women — I just start kissing them, it’s like a magnet,” Trump told “Access Hollywood” host Billy Bush in a conversation that was caught on a hot mic in 2005. The comments were made on the set of “Days of Our Lives,” during a taping of a segment about Trump’s upcoming cameo on the soap. Eleven years later, these words are coming back to haunt him. The recording — obtained by both the Washington Post and NBC News — also shows the newly married Trump spotting a young woman through the bus window. Trump, who recently attacked Clinton by insinuating that she was unfaithful to her husband, former president Bill Clinton (a charge that has been unproven), can also be heard bragging about how he once tried to seduce a married woman. “I moved on her actually, she was down in Palm Beach and I failed. I’ll admit it. I did try to f— her, she was married … and I moved on her very heavily,” Trump said. Trump had a very public affair with Marla Maples — his second wife — while he was still married to his first wife, Ivana. In addition, he has been widely criticized throughout this campaign for derogatory comments that he has made about women in the past. Trump has also said disparaging comments about former political rival Carly Fiorina, the wife of his former rival Ted Cruz, Rosie O’Donnell and former Miss Universe Alicia Machado. Last week, former Miss Universe contestant Jodie Seal claimed that Trump made derogatory comments about other women in the beauty pageant as well. Hillary Clinton had far more celebrity supporters than Donald Trump, but his 37 celebrity fans turned out to be the ones who backed the winning candidate. Here are Trump's celebrity fans. "OK so, I think I'm ready to admit that I'm going to vote for Donald Trump" – Azealia Banks. (She later changed her mind. After Trump's win, Alley posted: "CONGRATULATIONS PRESIDENT TRUMP! @realDonaldTrump against all odds ..against the establishment and even against most from the GOP..U did it!" "Having secure borders, protecting our citizens — none of this is hateful. This is the responsibility of the government, and it's the right thing to do. Donald Trump will get it done and put us back on the right track." 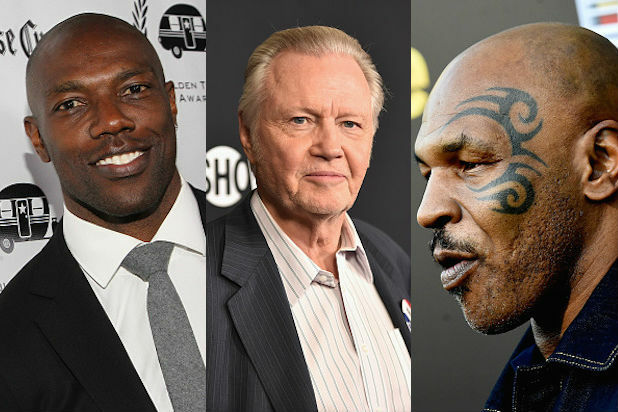 -- Antonio Sabato Jr.
...and this rundown of 5 Hollywood Stars Who Dumped Trump.